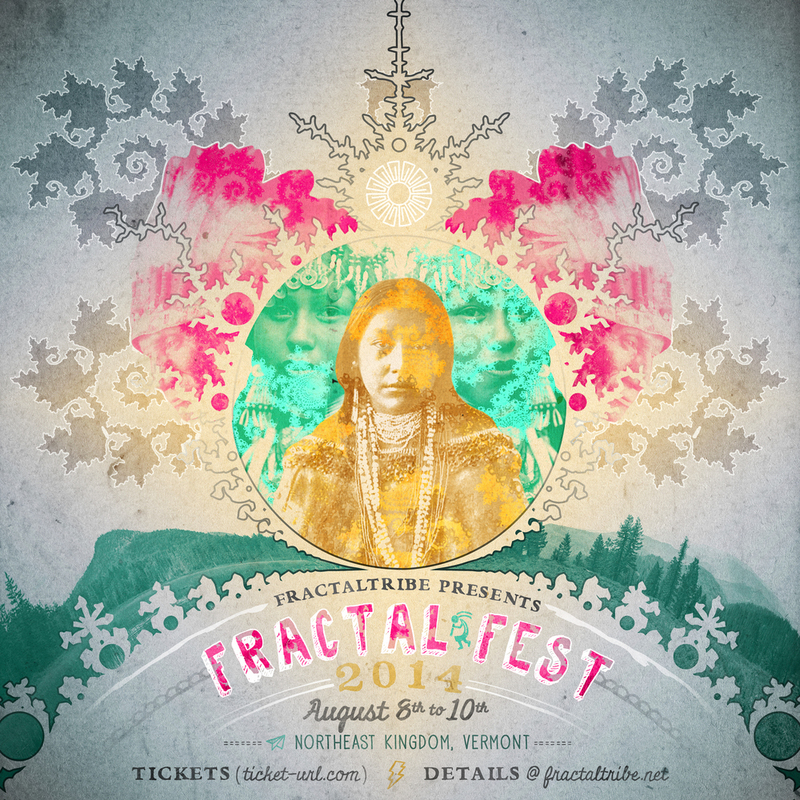 2015 Fractaltribe is looking to continue innovating and reaching to create the best possible gatherings. 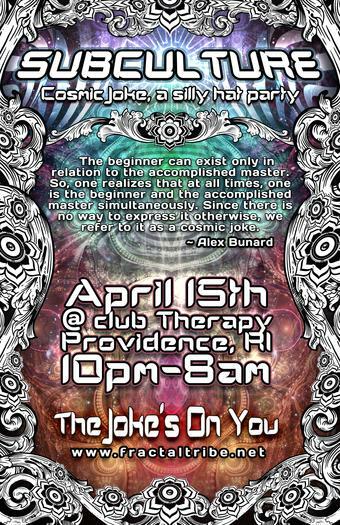 We returned to Club Therapy in Providence for Flibbersqorkle after 3+ years away with some of the best psychedelic techno in the world. On June 20th we have the first act in a trifecta of scores with Prelude at the Fractal Factory featuring some of the best psytrance in the region. 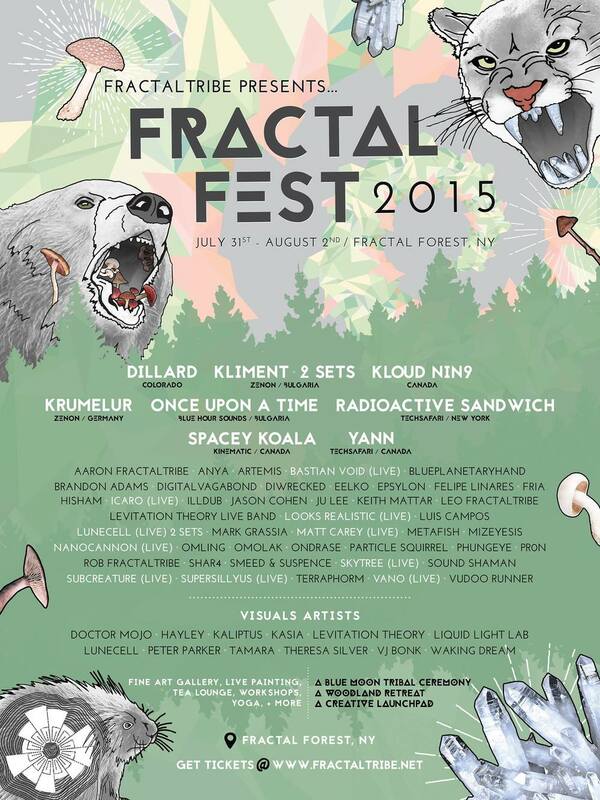 Then we are onto our 3rd annual Fractal Fest in the mysterious new Fractal Forest of upstate New York from July 31-Aug2. To bring our summer events to a close, in September we brought out Extrawelt to the Fractal Factory, one of the most sought after techno acts in the world; and they delivered perhaps the best set ever on Fractilian soil. To bring the year to a close we had to host Spiral Future, our 2nd annual all-tribe New Years Eve event at the Factory. 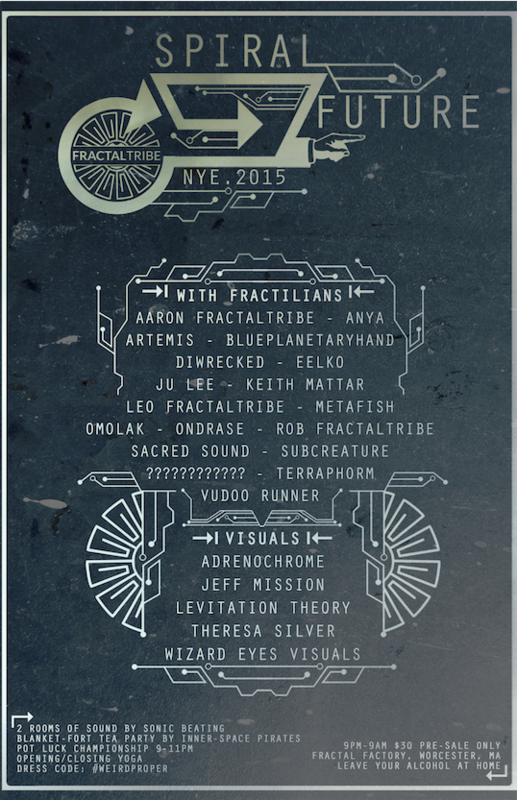 2014 was a momentus year for Fractaltribe. We hosted 4 events this year. 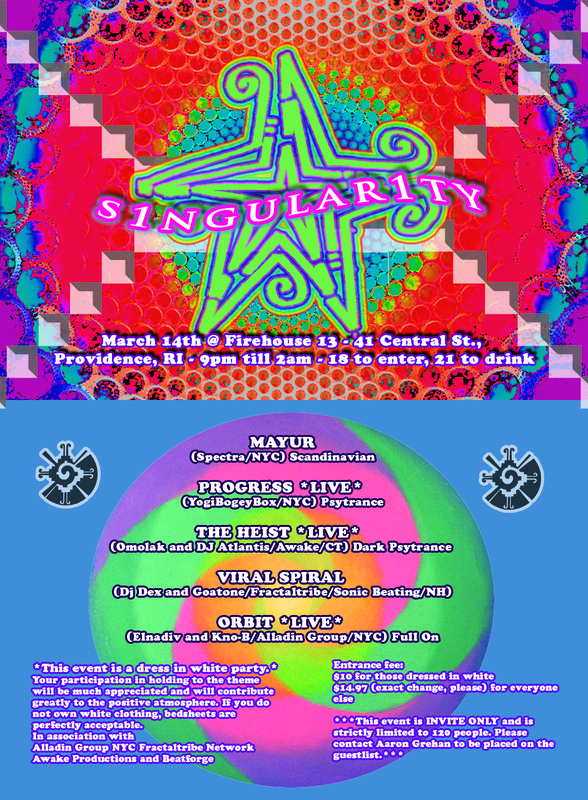 3 indoor events at the Fractal Factory, debuting the now famous Spiral, and our second annual Festival up in the northeast Kingdom, Vermont, "Fractalfest"
2013: We hosted 3 events in 2013. 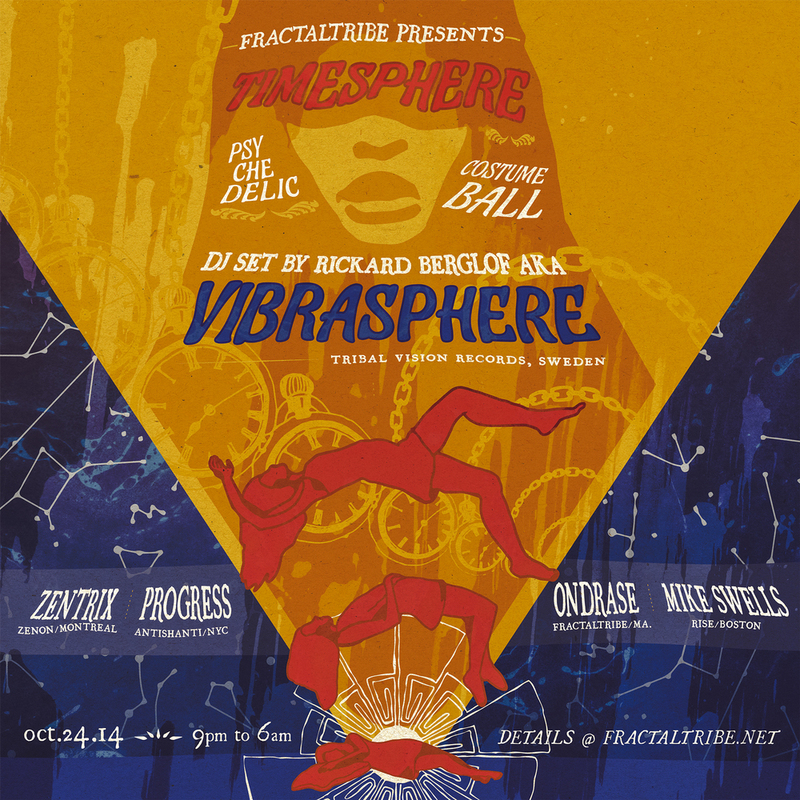 Science and Spirituality in the Spring with Atmos, our premier festival "Fractalfest 2013" and a cozy intimate event at Electric Haze ft. D-Nox in October. 2012: was a big year for us! 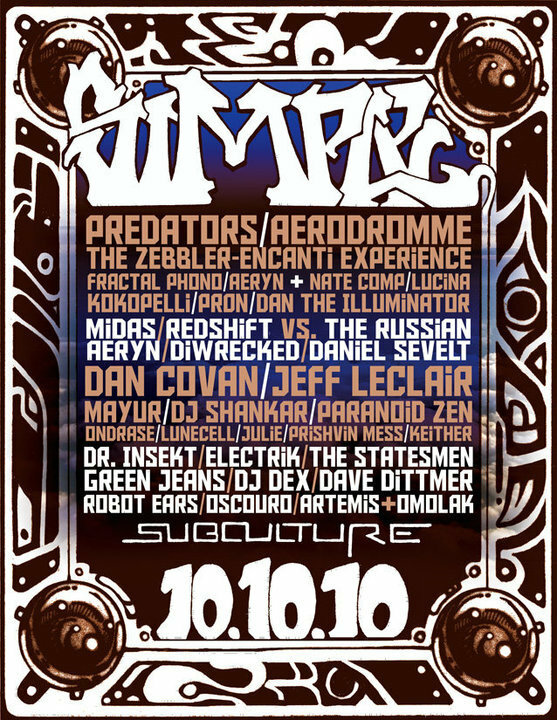 We started fresh after our subculture series at Therapy stopped after its closing in 2011. 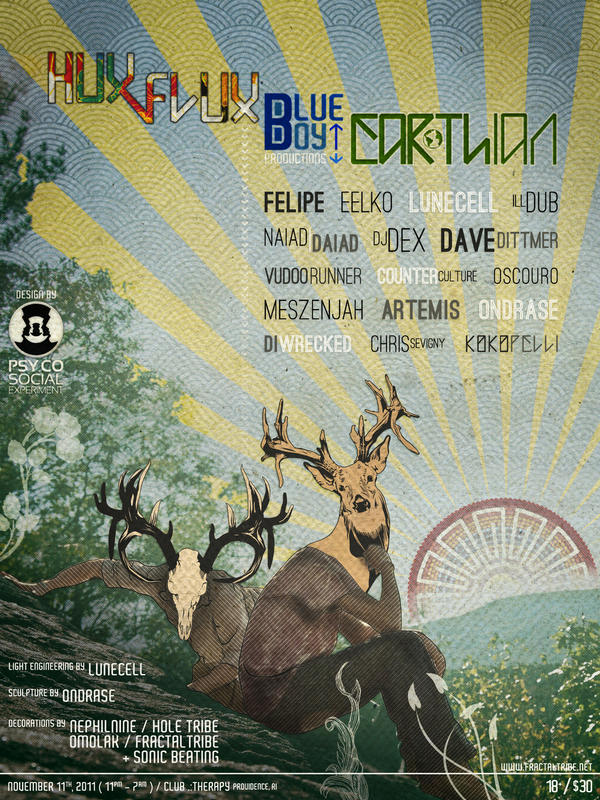 We started with Fractalfest 2012 at the Fractal Factory and the hosted Tribal Technology on 12.21.12 the supposed end of the world featuring our large scale mayan temple. 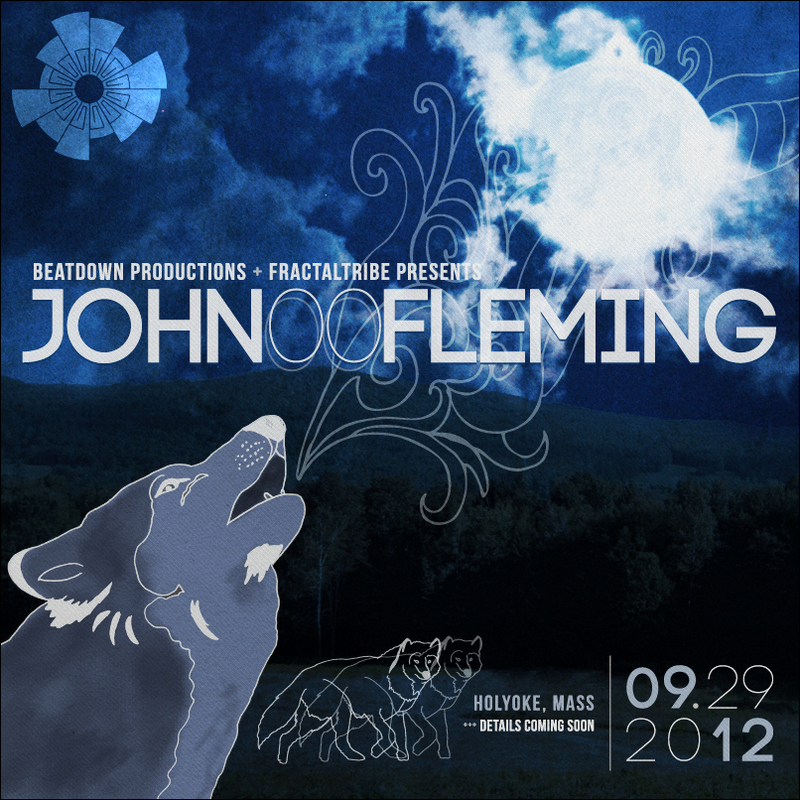 Had a great afterparty in nyc "Gotime", and produced "Luminosity" in Association with Beatdown Productions on 9.29.12 in Holyoke MA. 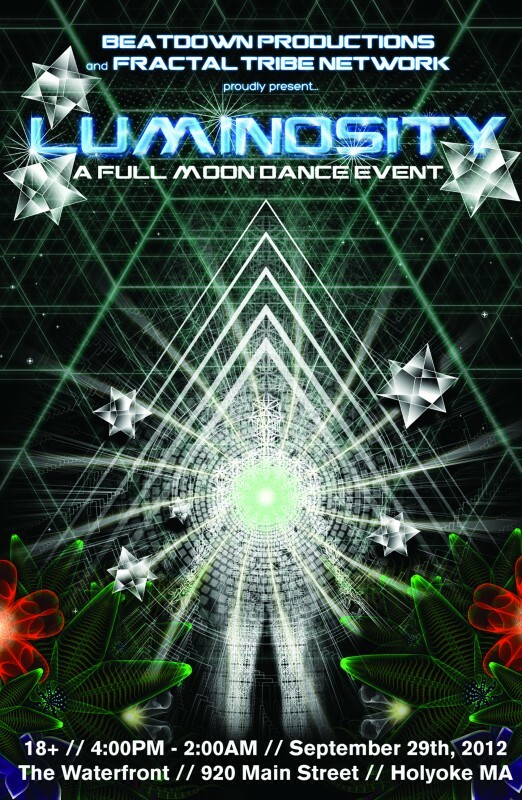 2011: a year of large parties at the amazing Club Therapy ft. their last party ever "Fractaltribe presents Subculture: Origins 11.11.11", Also on 4.15.11 Subculture: Cosmic Joke, & A foray into NYC Ft. Ajja, Yabyum, and a now infamous secret Neutral Motion set! 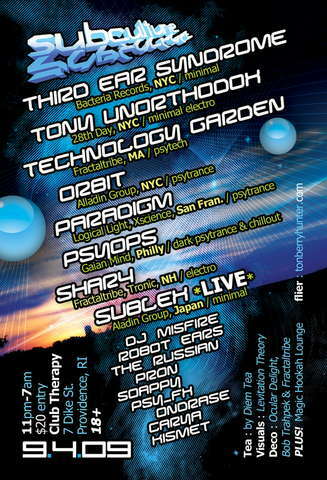 2009: Kicking off a terrific run of events at Club Therapy, the crew Fractaltribe quickly makes a name for itself with "Subculture: A psychedelic awakening" and "Subculture: A new Idea". As well as Firehouse 13 events "Shift" & "Singularity"